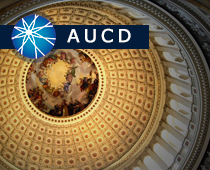 AUCD works on all of the issues encompassed in the very broad term "health care" for people with disabilities. Specific emphasis is placed on a community rather than institutional bias in affordable, equal access to health care. This includes private health insurance, public programs such as Medicaid and Medicare, managed care, as well as quality assurance and consumer education protections. Please visit AUCD’s Health Reform Hub, an online gateway designed to provide technical assistance and information about implementation of the Patient Protection and Affordable Care Act (PPACA). On June 28, 2016, the Friends of NICHD hosted an event on Capitol Hill about biomedical research into the implications of the Zika virus for maternal and child health. Dr. John Columbo, Director of the fe Span Institute at the University of Kansas and a leader of the IDDRC network, presented on prenatal nutrition and early childhood development. The Consortium for Citizens with Disabilities send this letter to President Obama regarding Affordable Care Act wellness programs and protections for workers with disabilities under the ADA. A national advocacy organization dedicated the implementation of a strong and vital long-term services and supports program. Find resources and view archived briefings on health care reform and related topics. AUCD is a member of the CHF, the oldest and largest nonprofit alliance working to preserve and strengthen public health investments.